Just wanted to let you know that for some reason I am not able to view the notifications section of this blog; it appears empty, and I cannot get to it. I apologize in advance for not being able to answer any comments or visit the recent blogs that have visit mine in the past couple of days, as I usually like to do. This happened once before and it fixed itself fast, so I am hoping it does. Never thought of it before, but the feeling is as having a blind blog. It feels lonely without being able to view the notifications, as I enjoy this part of the blog. Love, and have an awesome day. I have been immersed in the editing process of The Book of Sharon for the past couple of months. I have changed, cut, rewrite, added, pondered, ignored, and have been guilty of neglecting this blog a bit (mea culpa). In the process, I reviewed my writing habits, and what is truly important to me as a writer. I found that I needed to eliminate a few things, and strengthen others, so I could use my writing time more efficiently – in short, editing leaked from the story to my life. I discovered that I need to tend a bit more to my author website, as well as this blog (the venues I love most), but I also discovered that I do not want to Tweet, but will continue to enjoy meeting people on Facebook, so I closed my Tweeter account. I thought about other issues that were clogging my brain, such as joining Goodreads, Shelfari, and other sites that I have pondered about too much for too long, and concluded that I don’t want to join now, despite all the advice I’ve heard for indie authors to join as many venues and be everywhere to gain exposure. I felt that I needed to get back in touch with the writer in me, and keep up the activities that I enjoy most while ignoring every sound advice out there for indie authors. At one point, it seemed overwhelming. I discovered that the only few venues I wanted to keep up at this time were Inkspeare, my website, and Facebook. I decided to offer my books through Amazon/Createspace only at this time. And while that may seem extreme, it is what I need to do to get in touch with the writer again. Finally, I gave myself permission to accept that I do not have to follow all the trends, and understand that it is okay (however it plays out). I’d rather do more of the few activities I love, than do less in tons of other venues/activities, so I adjusted my focus. After I sorted all this out and emptied my scattered brain, I realized that I had to make a decision about The Book of Sharon, and that is to publish it as a novella, which suited best the story, and not follow the earlier pattern of my other books, which are novels. I listened to my gut, and decided to make it a novella. It will be available through Amazon and Createspace in a few days. In the meantime, I will give you a peak at the cover. Dinorah Sandbeck, half-Human/half-Anarth, has been chosen to deliver a message, one entrusted to her by birthright. However, she must not reveal her Anarth ancestry. The pages contained in the ancient tome may alter the path of the human race. 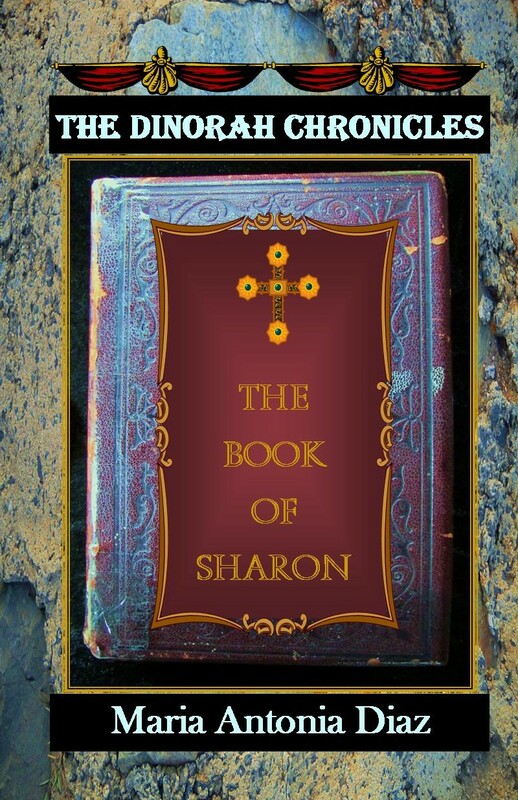 The Book of Sharon follows a different style from the other two novels, and it was a bit of a challenge to write because it included Dinorah Sandbeck’s (main character and a writer/librarian) book, as well as pages from her old tome – an ancient book that guides her and that she must protect, but those had to be weaved in the story – the story I wrote. So there are three main components to this book, as well as three voices throughout – Dinorah’s, the ancient tome, and me. Think of it as a book inside a book inside a book. To help the flow of it, as well as the tone, I felt that making it a novella suited best the style. I am happy with the decision. Food for thought – As an independent author, how do you cope with all the advice offered and the new trends developing? Today, I want to talk/write about the distinction between blogging and formal writing when you are a writer/author or work as a freelance writer. I say distinction because blogging and writing share many similarities as well as differences. I guess the question that I want to address here is, “Do you write as you blog? No, I don’t, and I hope the answer is no for many. For me, blogging is more about having a conversation, similar to the conversation you would have with someone at a coffee shop, for example. You let your guard down a bit, enjoy your coffee, the company, and talk about what is going on with you, your work … but also, listen to the other party, and share his/her interests. When blogging, I may start a sentence with the words and, or, and I may use the words ending in “ally“ with or without disregard, and tons of adverbs, depending on what I want to convey, and the mood. It doesn’t mean that I advocate sloppy blogging. It means that I feel comfortable enough in the conversation to let go of some rules of writing and talk to readers of the blog as I would talk to a friend in casual conversation. When writing a novel or working on an assignment, editing becomes the friend. It has been said that there is a conversation between an author and the readers of a novel (and there is); however, that conversation happens in the mind, between the lines, and certainly, after my friend “the editor” has meddle in the conversation. Another point to consider is the purpose of the blog. Blogs that are formal, informative, and cater to a specific group of readers, should follow the applicable sets of rules, very different from conversational blogs that aim to grow a community, start a conversation, and share among bloggers/readers. I follow the same conversational rules for social media. I’d rather say “see you later gators,” than say, “I will see you later, alligators” – just to give you a common example. If I was writing an instructional, informative, or “formal post,” I would follow suit. One thing that I find no need or excuse for in blogging or any other social media outlet, is bad etiquette, bad manners, personal attacks, improper use of language, and sloppiness (laziness). But to each its own. As a writer/author or as a reader, how do you feel about blogging and formal writing? I would love to hear your opinion. 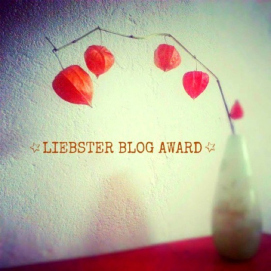 I was very honored and humbled by receiving the Liebster Blog Award – Thank you Ado Bajic from The Daily Rant. Thank you for reading and considering Inkspeare worth of receiving it. I don’t take these awards lightly. I am always happy to know that someone found inspiration in one of my posts. That makes me happy; and that is all I want – to be able to share and inspire others. I hope I get the rules for the award right. Here they are. List 11 random facts about me. Nominate 11 other bloggers and their blogs. Notify these bloggers of the award. Ask the award winners to answer 11 questions when they accept the Liebster Award. I answer the questions left for me, from the blogger that gave me the award. I can’t have enough coffee. I am nuts about cats. I don’t welcome negativity or whining. I love black and white movies. I like to watch birds and take pictures of them. I like to observe people, not so much take pictures of them. I am addicted to pens and pencils, and stationery. These are 11 of my favorite blogs that inspire me in different ways. I know I have mentioned some of them before, in random posts here and there. Some are more recent blogs that I have started to follow, and so far I love them very much. It is up to the nominees to answer the questions – I know some people do not like to get too personal or want to keep their information to a minimum. So I set you free to do as you wish 🙂 with your nomination. Answering questions is not required in my book. What is your favorite ink color? 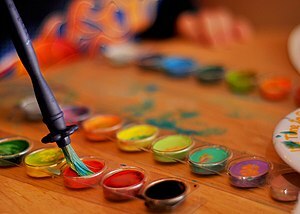 Why did you chose your blog theme? How serious are you about your writing? Writing is my life. Where do you face while showering, towards the shower head or away from it? Both ways. Do you like sports? I don’t like sports, although I enjoy watching a few – car racing, surfing, snowboarding, for example. What is your favorite book? Jonathan Livingston Seagull by Richard Bach is my favorite book. What makes you angry? Liars and Bigots make me angry. What is your happiest memory? My Grandma telling me a story. Do you think the last two questions matter? Yes. Would you like to get this award? Yes. Today, I announce the first Watercolor Friday on this blog, and hopefully, many more will follow. What is Watercolor Fridays? Well, every Friday I will celebrate other blogs, other’s achievements, inspire or gift something, whatever that might be at the time – a book, info, art … It is my way to celebrate this beautiful place we call home, our planet, and this wonderful community of writers/bloggers. Each one of us is like a small piece of watercolored paper scattered on Earth, and each one of us have something to contribute, a picture to paint in our journey, and of course to be celebrated, and hopefully, our colors will run into one another, thus enjoying what each one of us has to offer. I hope that you get to enjoy Watercolor Fridays. To start our first Watercolor Friday, I want to celebrate and share with you five awesome blogs that I have read for a while and hopefully, you will get to know and visit them. I call them my oldies. Here they are. http://marcschuster.wordpress.com/ This blog is from author Marc Schuster and is called Abominations. It is a place where you will find humor, art, information, and writer’s insight. I recommend his latest novel The Grievers, you will love it, hopefully as much as I did. It is an awesome book. http://jitterygt.wordpress.com/ The Jittery Goat will certainly take you by surprise with its unique humor or seriousness, and sometimes, a tiny healthy dose of cynicism, but other times, be prepare to take this blogger’s honest opinion – whether you agree with it or not, shocking or not. And this is precisely, what makes The Jittery Goat different, and not sugar-coated. This blog is certainly worth visiting and will sometimes take you to a place in time, with vivid descriptions in the unique style of this author. http://rosekate.me/ I call this blog a blog of beauty. I have enjoyed the images of this photographer for some time, and this was one of the first blogs I started following, and do till’ today. The images here are a celebration of life. I am sure that you will enjoy it. http://fromacountrycottage.wordpress.com/ I followed this blog as former blog Arignagardener, it has moved to Fromacountrycottage. I recommend this blog to lovers of country living, simple living, and organic living. There is always something good to read and awesome pictures. During the process of it moving, I missed a few posts, since I had to follow the new blog and had forgotten to do so, then realized that I was missing its posts. Glad I got back to it. http://anunrefinedvegan.com/ This is one of the first blogs I followed and I still visit. Here, you will find great vegan recipes and organic tips, as well as the appetizing pictures of these yummy recipes, which the blogger prepares herself most of the time. It is an awesome blog for vegans but also vegetarians, and pretty much anyone who wants to learn to eat healthier but at the same time yummy.